Learn more about this game on kickstarter.com! DungeonCraft is a game played with 2-4 players: one player as the Guardian against 1-3 Heroes. The Guardian of the Dungeon builds the dungeon and defends its rooms. The Heroes recruit adventurers, equip them, and plan their movement into the dungeon. Each of the two roles is governed by a distinct set of actions. Within a round players spend tokens to take actions in an alternating sequence. Basic in its concept yet elevated in strategic options, the game combines some elements of chance with your ability to read your opponent's strategy. At the start of the game the Guardian designs a dungeon using a set of 16 room cards. The Treasure Vault is the most valuable of those rooms. Once the Guardian places entrances outside the dungeon, the game begins. 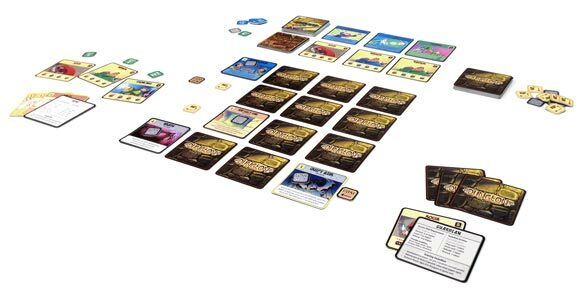 Each player has action tokens to spend on a variety of actions. Players use tokens to make plays during a round. After all players have spent their tokens, a new round begins with a new set of tokens. 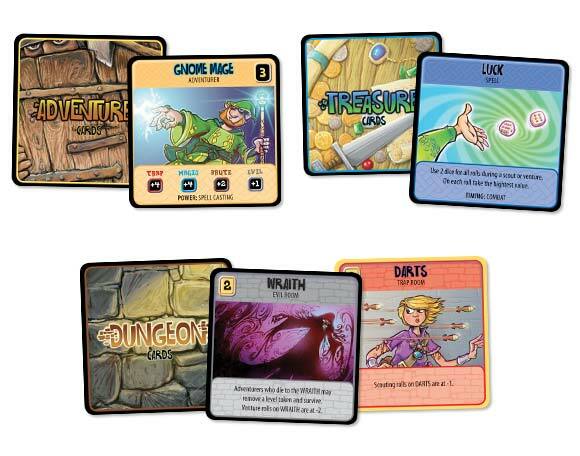 The Heroes use tokens to prepare adventurers, and move them through the dungeon. Heroes earn points by defeating rooms. The Guardian uses tokens to build more rooms and create dungeon effects to slow down the Hero's progress. The Guardian earns points by capturing adventurers and their gear, and by keeping his dungeon unexplored. The game ends either when the Guardian has drawn all the dungeon cards or when the Hero captures the Treasure Vault. The Guardian has 4 room types: Traps, Brutes, Evil and Magic. The Hero has adventurers with skills suited to certain room types. The Hero is trying to put the best adventurers in the rooms most suited to their skills—while the Guardian tries to ambush and surprise the Hero with rooms that challenge the adventurers. Add a Review for "Hero versus Guardian: A Game of Dungeon Craft"